Siobhan is a passionate supporter of multidisciplinary research, the benefits of mixed methods, and working across academic disciplines. She is currently completing her PhD at Aberystwyth University and uses primarily qualitative data collated from interviews and archival analysis to investigate the environmental observations by long-term beekeepers. After an undergraduate degree in Social Anthropology from the LSE, followed by extensive travel throughout Asia, Siobhan spent many years working in a broad range of non-academic organisations. These included one of the first organic food delivery companies in New York City; a luxury travel company organising guided tours throughout Asia; the New York office of Greenpeace; and London’s SUSTAIN: The Alliance for Better Food and Farming. She then worked with the Environmental Law Foundation, a coalition of legal professionals, environmental consultants and community organisers working to share skills and resources to help individuals address environmental challenges in their communities. She returned to higher education and completed her MSc in Food and Water Security at Aberystwyth University in 2014. This was an interdisciplinary course, with modules studied in Biology, Environmental Sciences, Geography, and International Politics. She is currently completing her PhD at Aberystwyth University’s Department of Geography & Earth Sciences. She uses primarily qualitative data collated from interviews and archival analysis to investigate the environmental observations by long-term beekeepers. She is a passionate supporter of multidisciplinary research, the benefits of mixed methods, and working across academic disciplines. 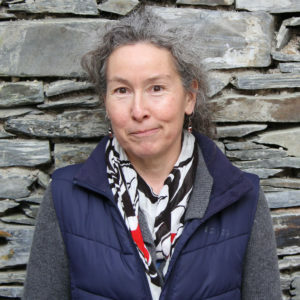 Siobhan teaches lectures and practicals for both on-site and distance-learning students, particularly for the MSc Sustainable Food and Natural Resources programme.